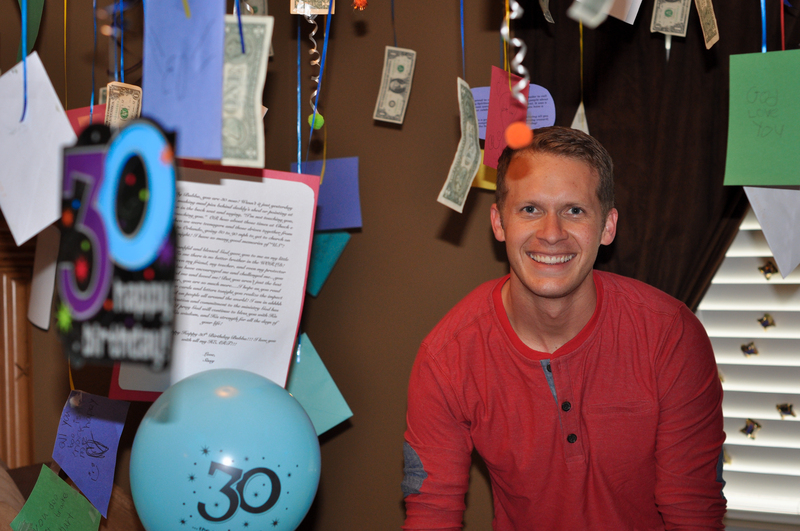 My brother, Robert Martin, is an amazing person and today is his 30th birthday! 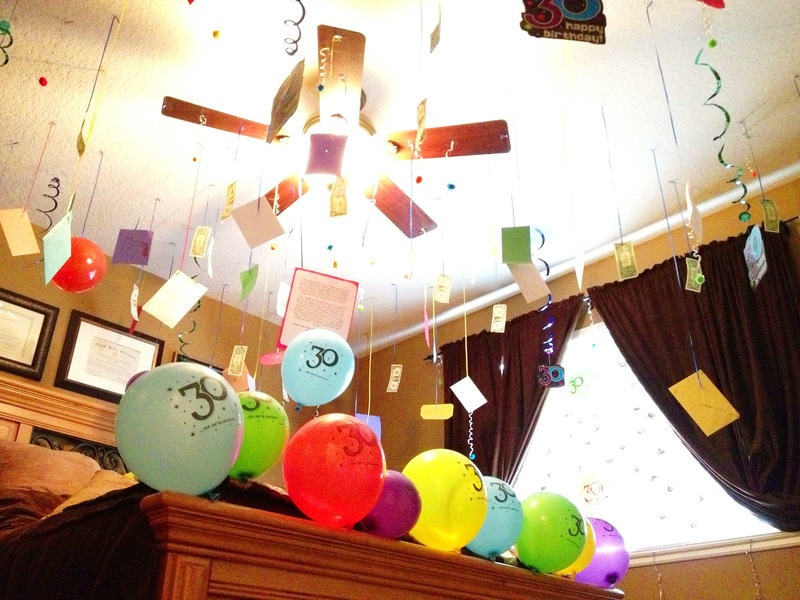 I wanted to do something special for his big 3-0 birthday….this is what I came up with…I asked family and friends to send cards and letters of encouragement to my home address two weeks ago. 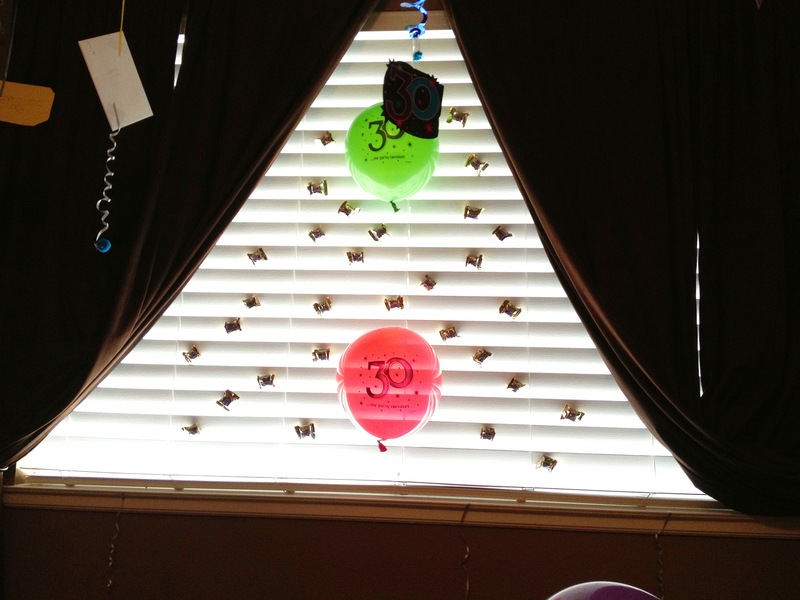 I collected them all and hung them in my brother’s room this afternoon, along with 30 $1 dollar bills, 30 snickers (on the window), and 30 decorative silly strings. Thank you everyone that helped make this possible with your cards, letters, and emails. 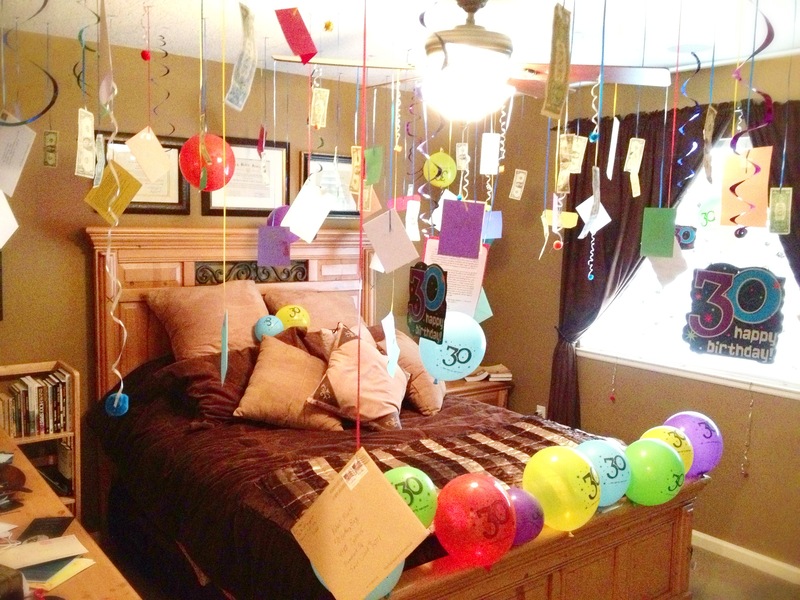 Happy 30th Birthday to the Best Brother Ever! I love you so much! This entry was posted in Family, Life by fromthecommittedheart. Bookmark the permalink. Amazing yourself to do what you did for your brother!!!!! Vera Parsons, Spruce Grove, Alberta. Canada!!! !